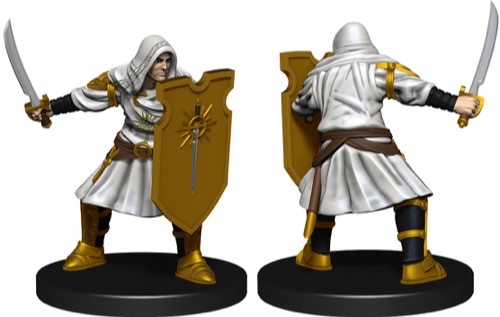 Now that we've shown off all the figures in the standard Ruins of Lastwall set of prepainted plastic miniatures over the past few weeks, that leaves just the premium set for today's blog. Over the history of the line, we've switched between extra-large figures like dragons and giants and hydras and themed dungeon dressing like the Rusty Dragon Inn and the Court of the Crimson Throne. 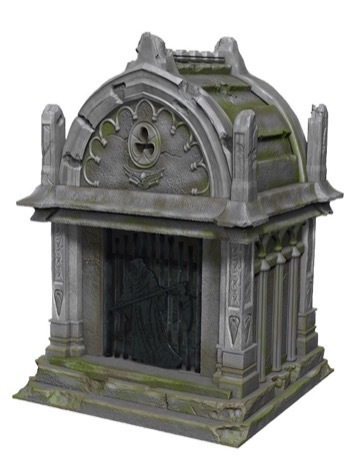 For Ruins of Lastwall, we suggested a cemetery set to WizKids, who at first seemed hesitant to do it (we later learned that they were doing a similar set in their Icons of the Realms product line). When they heard the pieces we wanted to include, however, they got really excited. The end result is one of the most impressive sets of dungeon dressing I think I've ever seen. 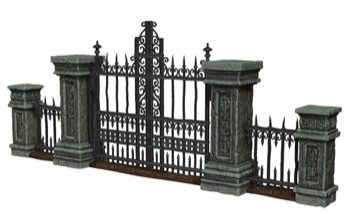 Each Cemetery of the Fallen Setincludes a working cemetery gate, two 2" fence segments, four 4" fence segments, a mausoleum with removable roof, a mausoleum coffin, four each of two varieties of tombstone, and two each of two stone coffins. Cemetery of the Fallen is also the first premium set to use new packaging that displays the content inside. 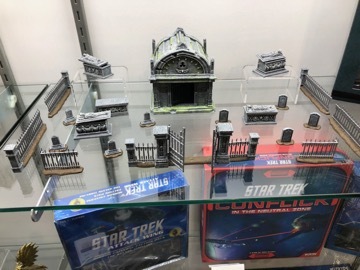 You can see both the packaging and a sample set all laid out together at New York Toy Fair a few weeks ago. That wraps up our previews for the Ruins of Lastwall release, due out later this spring from WizKids. When I next grace the blog with another preview, it'll likely be about the forthcoming Iconic Heroes Evolved set, also due out later this spring. Until then, don't split the party! Yes, yes, I know. That's not the right version of "horde." But hear me out! 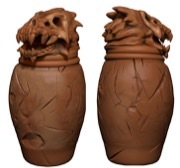 No army of undead is complete without a veritable dragon's trove of minion figures to inundate the battlefield with. 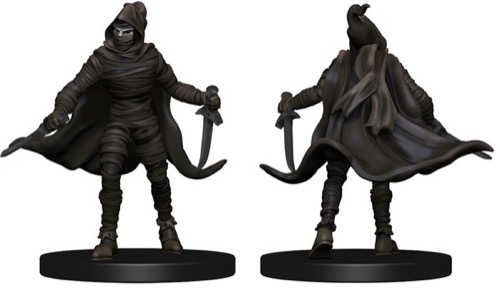 So while the minis represent a horde of undead, you, dear reader, are going to amass a hoard of these phenomenal figures from the forthcoming Pathfinder Battles: Ruins of Lastwall set from WizKids (now due out in May). 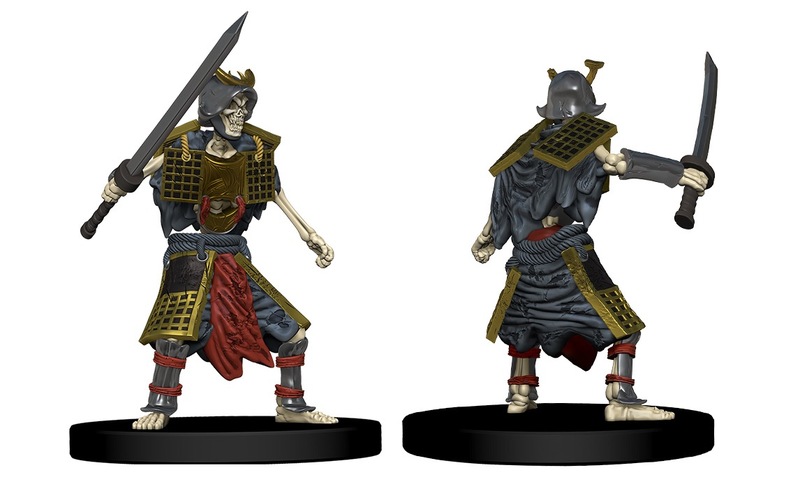 We've already looked at the Skeletal Speaker figure, but it's not the only skeleton in the set. No, there are two more to form the backbone of your undead army. Here we have the Skeletal Samurai and Skeletal Soldier, Medium uncommon and common figures, respectively. Dry bones, dry bones, so many dry bones. Often missing from the armies of undeath are aquatic creatures, the drowned dead. Well, not anymore! 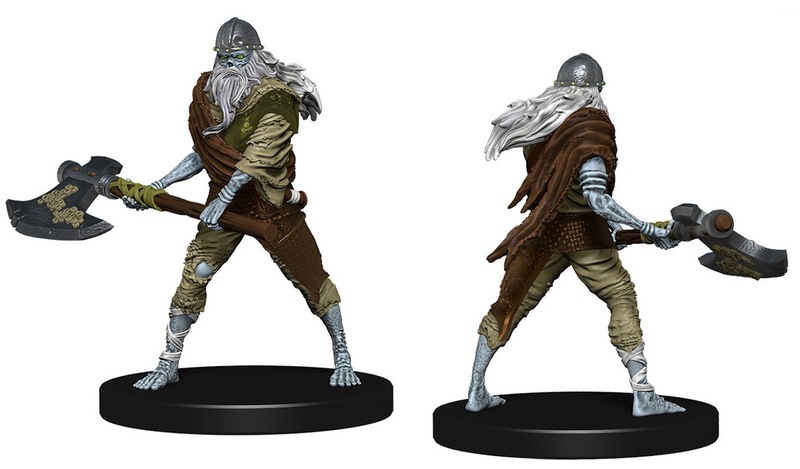 The Draugr, a Medium common figure, can also serve as a blue-skinned zombie or other walking dead, but is particularly useful when you need the living dead to threaten a ship or coastal community. While all undead threaten to haunt the dreams of the living, only some are native to the Dreamlands themselves. One such example is the Lovecraftian horror known as a Leng Ghoul, represented here as a Medium common figure. Last week I promised one final deity in the series, and none seemed more fitting for this set than Arazni, whose history is intertwined with the Knights of Ozem and the Whispering Tyrant. 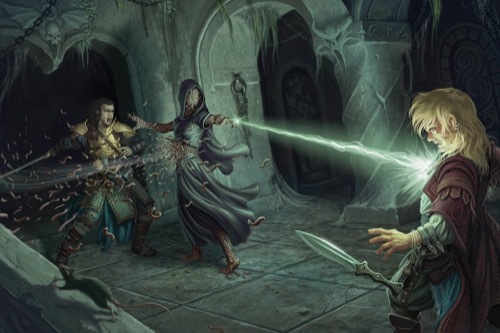 It was the dread lich who killed her when she was Aroden's herald, known as the Red Crusader, after all. Now, she rules the undead nation of Geb in the absence of its ghostly namesake. 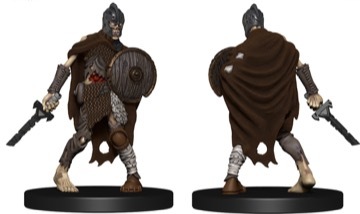 A Medium rare figure, Arazni will be particularly useful to GMs running the Tyrant's Grasp Adventure Path, the first adventure of which should be hitting store shelves before the end of the month. 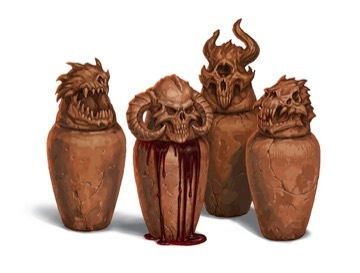 Among the many artifacts linked to Arazni, none are more infamous than the Bloodstones of Arazni, a set of canopic jars holding her innards. 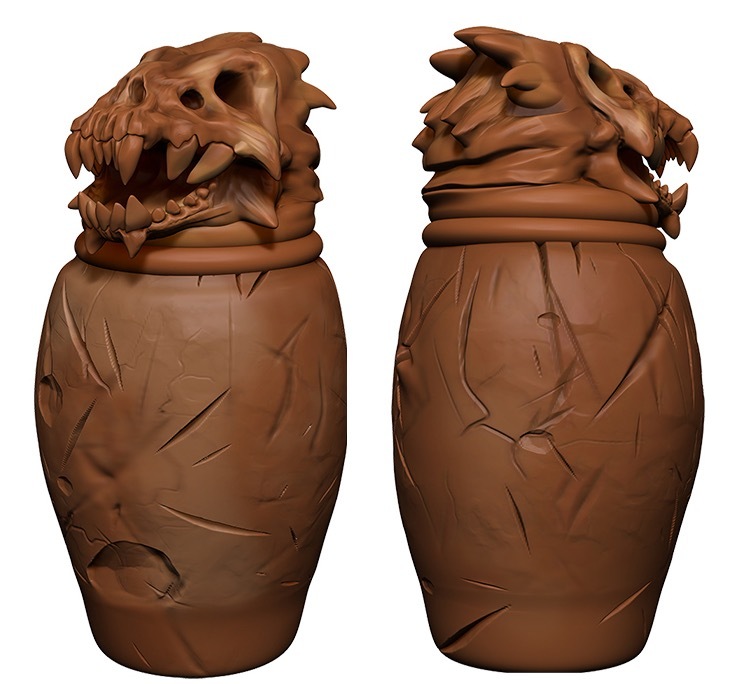 Thus, when deciding on our final piece of set dressing, we used the image of these jars to make a pair of Canopic Jars suitable for any undead tomb. In practice, they came back smaller than I would have preferred, even if they are at the correct scale. 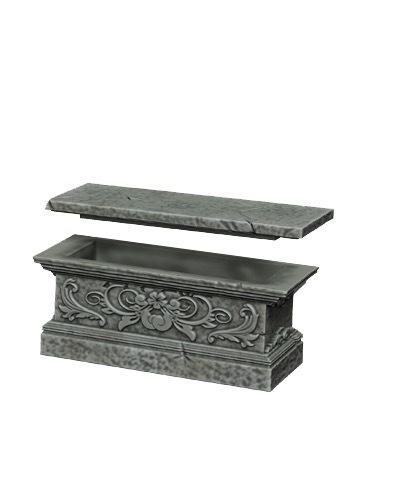 In retrospect, we probably should have cheated their size up a bit and grouped them together into a bunch instead of being individual urns. 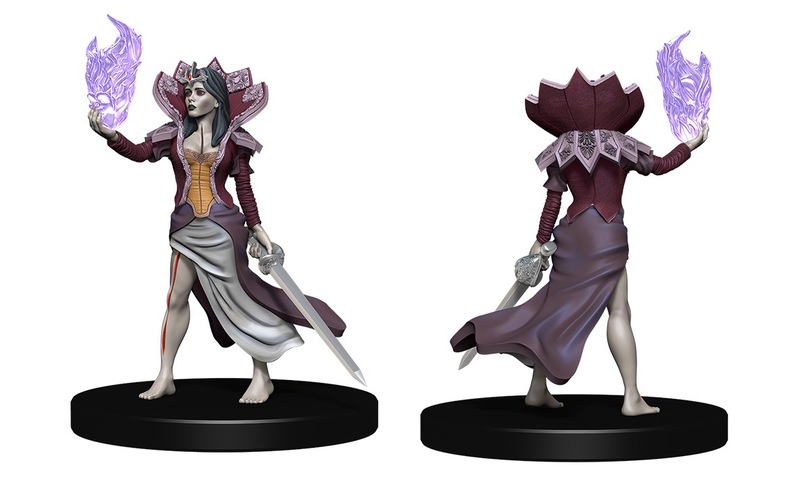 Finally, we end our preview series with one of the most requested figures in Pathfinder lore. 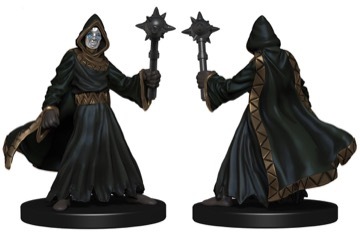 A figure originally made way back in 2005 in metal form in Compleat Encounter: The Vault of the Whispering Tyrant (the first appearance of the iconic lich, long before Pathfinder or Golarion were even a thing), the Whispering Tyrant has never had a prepainted plastic iteration. That ends now, however, with this Medium rare figure based on the Wayne Reynolds cover of Pathfinder Campaign Setting: The Inner Sea World Guide. Next week, we'll look at the contents of the set's premium piece, the Cemetery of the Fallen, with pictures of the final pieces on display at New York Toy Fair earlier in the month. Pathfinder Battles: Hail the Living God! This week's preview of Pathfinder Battles: Ruins of Lastwall examines the faith of one of Golarion's newest deities. Fewer than 50 years ago, the masked man known as Razmir appeared in the River Kingdom of Melcat, and declared himself a god after having passed the Test of the Starstone. Since that fateful day, he has raised a nation in Melcat's place that bears his name—Razmiran—and stretches all the way to the shores of Lake Encarthan. All who live there are required to worship him and pay harsh tithes to his church. Because PCs are likely lining up to join his growing cult, we thought we'd give them some minis to use! 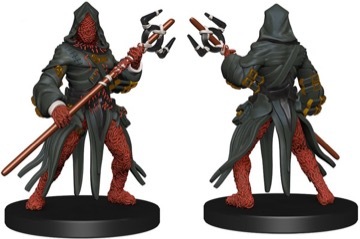 First on the list is the Razmir Cultist, a Medium common figure representing the rank and file members of Razmir's church. These are the laity of the faith and can often be found serving an influential priest or operating as enforcers of the church's will among the common folk of Razmiran. 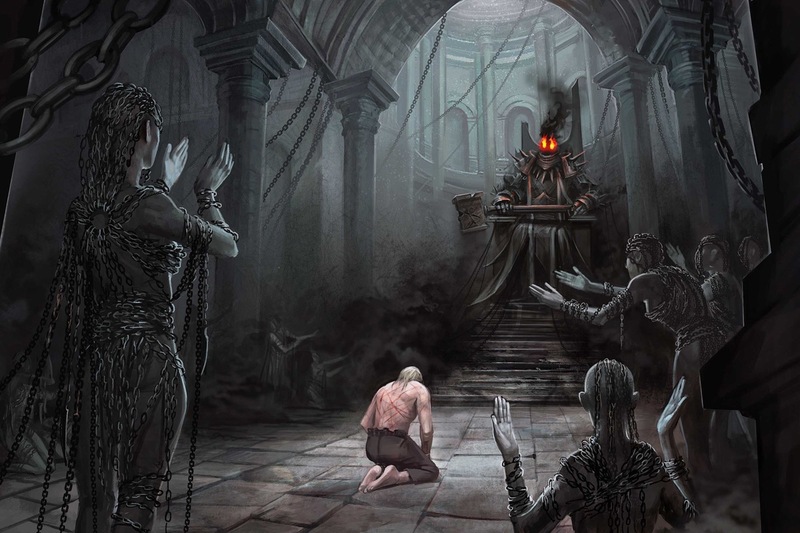 For such service, the depicted cultist has been elevated to the church rank of Herald of the Eighth Step, as indicated by their black robe and iron mask. 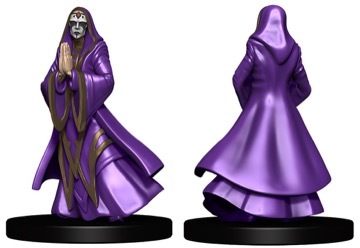 The aforementioned Razmir Priest is the second in the series, in elegant purple robes. 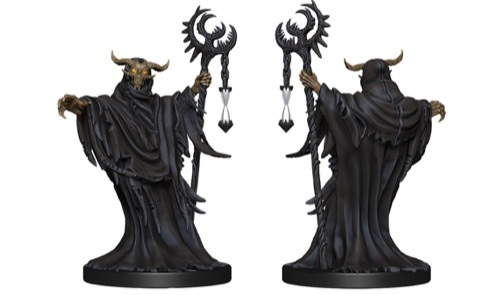 They wield no weapons but can cast spells like any other priest, and thus present as much a threat as an entire team of acolytes. 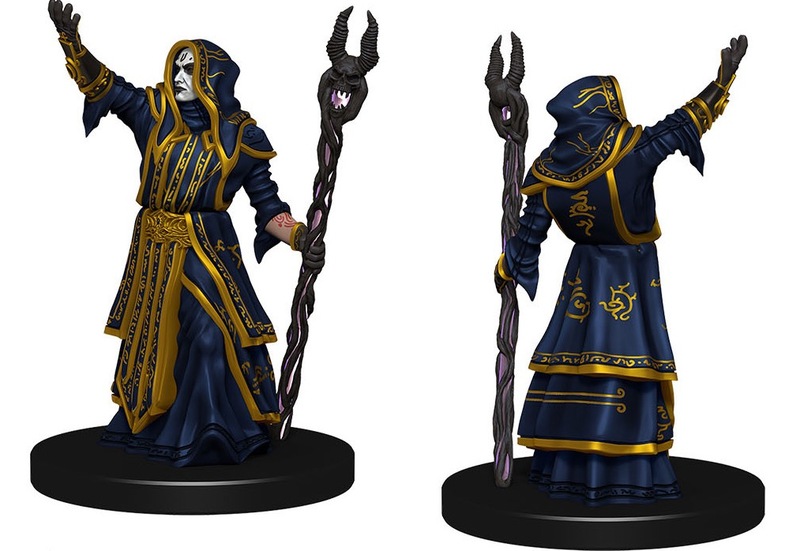 Rarer than the common acolyte, the Razmir Priest is a Medium uncommon figure. Since the Ruins of Lastwall set already features so many deities, it seemed wrong not to put the setting's newest god in a rare slot. 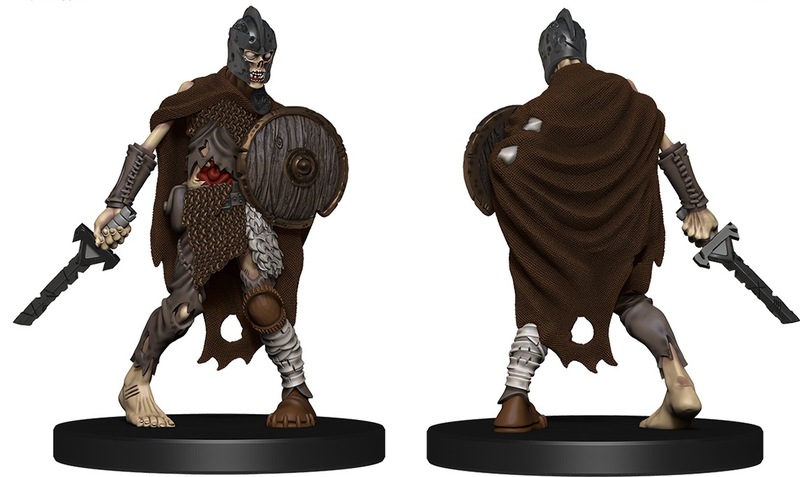 Thus, I present to you one of the most impressive figures we've ever done, in my opinion: Razmir, Living God. 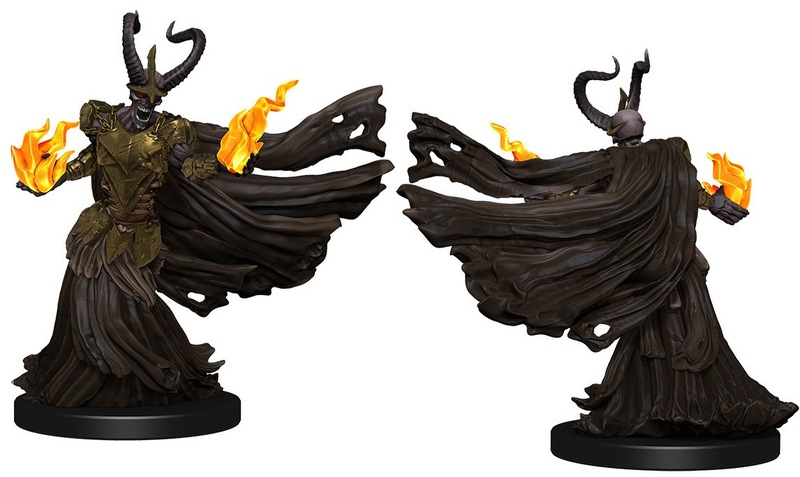 The intricate gold detail on his cloak is awe-inspiring, and his commanding pose demands reverence. While he'd probably have you executed for the heresy, Razmir also makes for a more generic evil spellcaster in a homebrew campaign. Though it's not the most flattering comparison, I can't help but think of Scar and his hyena lackeys in Disney's The Lion King whenever the topic of Razmir comes up around the office. 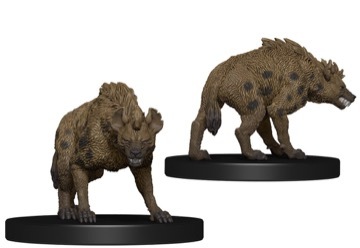 So despite being far from the deserts of Qadira or Osirion, it seems fitting to show off this set's Hyena, a Medium common figure. There's not much to say about hyenas beyond that I find their "laughs" to be among the creepiest sounds made by any animal in the real world. Now I'm going to have that sounds stuck in my head just from thinking about it. The sacrifices I make for you all! That's it for this week. 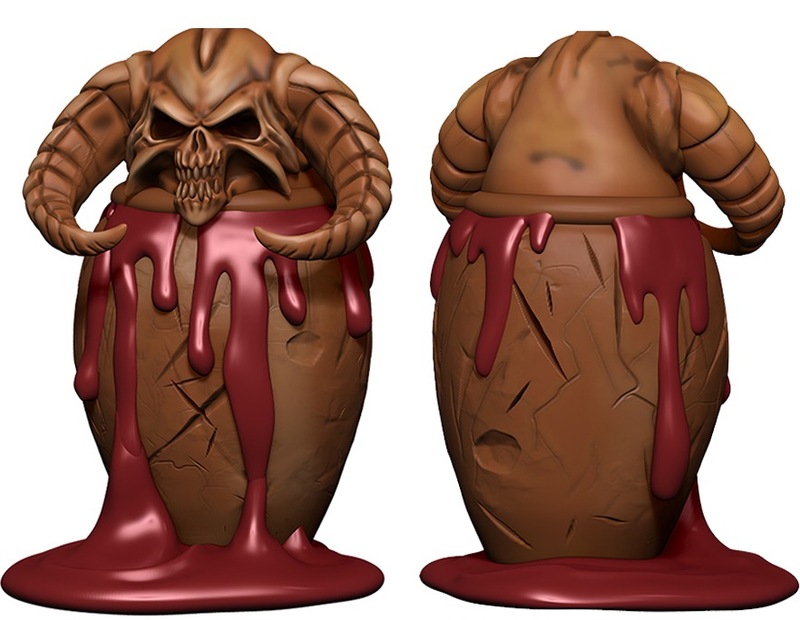 Next time we'll look at the final six figures in the set and the last piece of set dressing, including one of the most requested minis since Pathfinder Battles started, and the final deity of the set. Until then, "row like you believe." Pathfinder Battles: So Many Bugs! 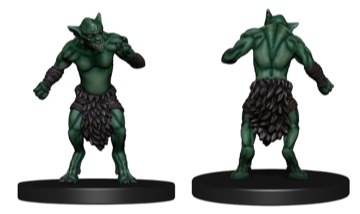 Paizo is closed today due to inclement weather (better safe than sorry), but that won't keep me from showing off a few new figures from the forthcoming Pathfinder Battles: Ruins of Lastwall set, due out in April. I'll keep the commentary short, however, since everyone is working from home. 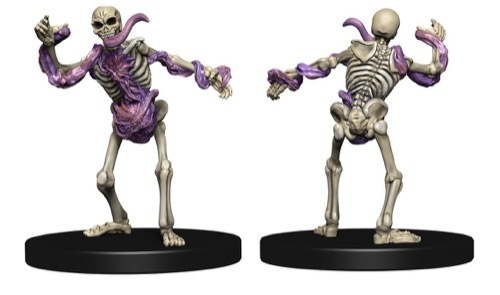 Paizo is closed today due to inclement weather (better safe than sorry), but that won't keep me from showing off a few new figures from the forthcoming Pathfinder Battles: Ruins of Lastwall set, due out in April. I'll keep the commentary short, however, since almost everyone is working from home. 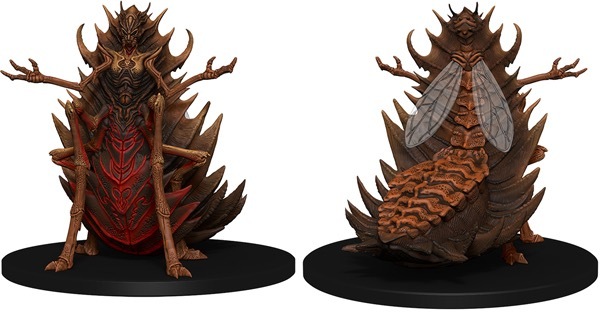 Here we have three of the bug-people you'll find in Ruins of Lastwall: the Formian Worker (Small common), Formian Warrior (Medium uncommon), and Formian Queen (Large rare). 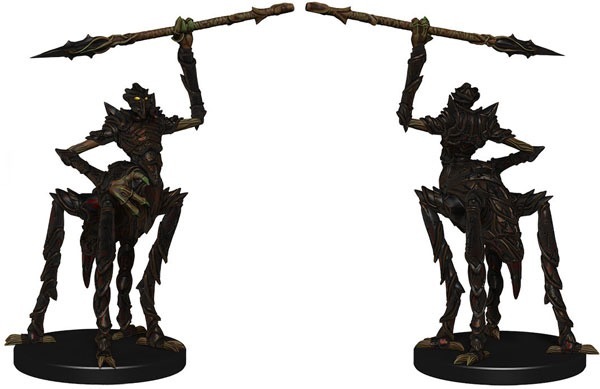 Together, they should form quite the hive for Game Masters using them as either foes or allies of the party. Formians aren't Pathfinder's only race of anthropomorphic bugs. Ruins of Lastwall also features the prepainted plastic miniatures debut of the Scorpionfolk (Large uncommon), a desert-dwelling race of centaur-like arachnids who guard ancient ruins and other places of power with religious zeal. While not technically a bug, the Warmonger Devil certainly has features resembling an arthropod. A Large uncommon figure, these denizens of Hell are sure to strike fear into any army they march to battle against. Our last two previews for the week aren't bugs, per se, but they are certainly bug-adjacent. The first is the Roiling Oil, a Large uncommon ooze designed to fit a Medium or smaller figure at its center, engulfing the poor creature with its suffocating slime. And finally, we have the Wormswarm Sorcerer (Medium rare), a sinister spellcaster whose body is composed entirely of a mass of wriggling worms. That's it from snow-covered Seattle this week. 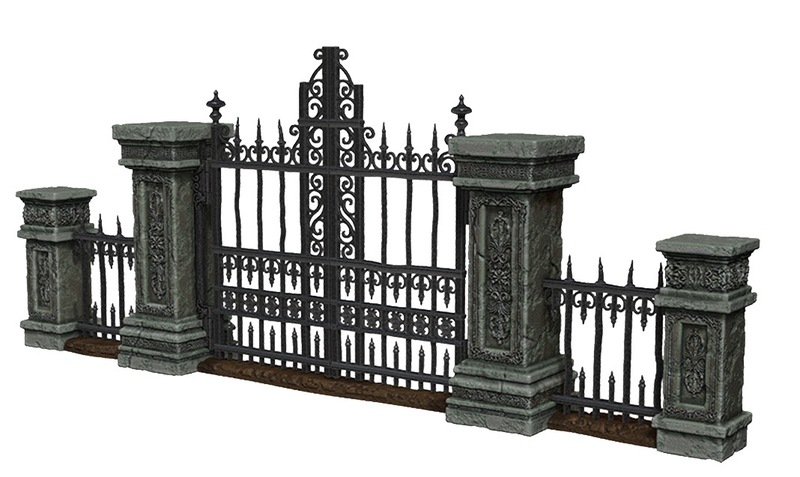 Check in next time to be converted to one of Lake Encarthan's most ambitious faiths, the cult of the Living God, Razmir. 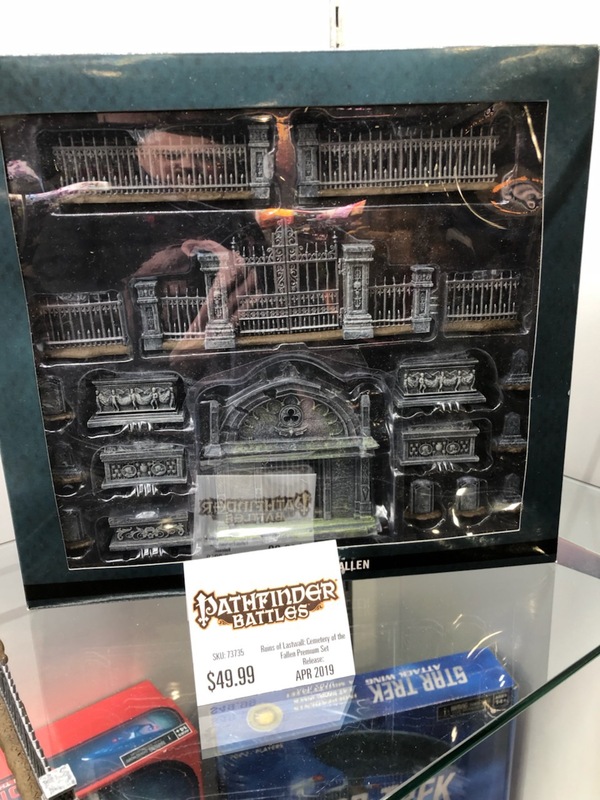 Last time we looked at previews of April's Pathfinder Battles: Ruins of Lastwall set from WizKids, we saw the amassed forces of good defending the world from the Whispering Tyrant's minions. Those are all well and good (pun intended) for PCs and their allies, but what fun toys does the set hold for GMs? The lich's primary agents are the Whispering Way Cultists, depicted here as a Medium common figure. 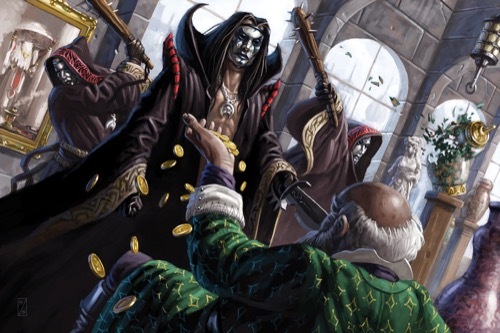 The most nefarious aspect of the Whispering Way is that its cultists can be hidden among any population, secretly advancing the Whispering Tyrants' goals. 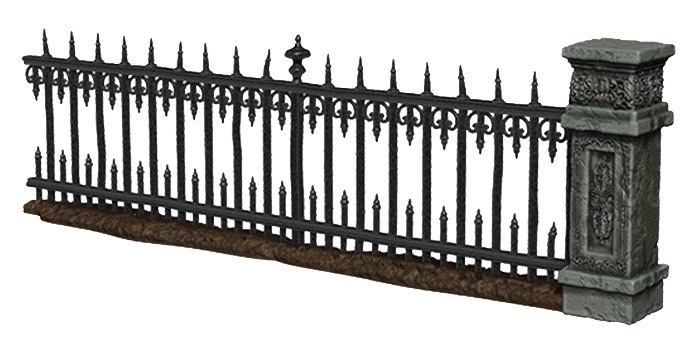 When discovered, however, the vassals of undeath fight viciously to see their plans through to fruition. 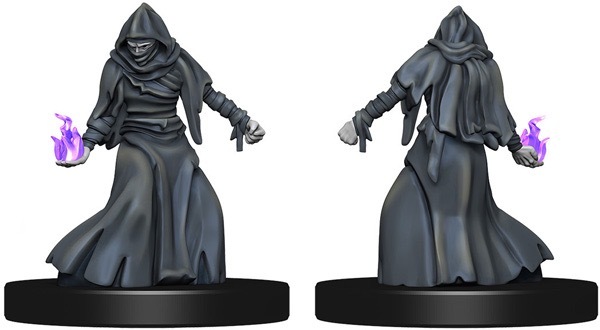 As numerous and threatening as Whispering Way cultists are, they pale in comparison to the Tyrant's undead minions. 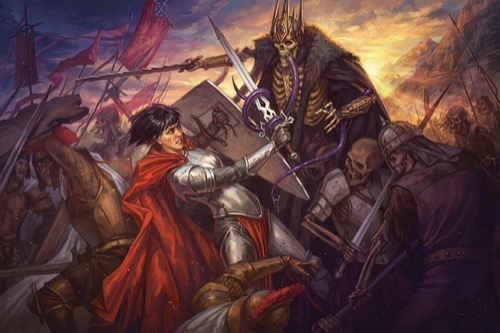 While many of these are mindless skeletons and zombies, often raised from the fallen legions of his vanquished enemies, these hordes need leaders. 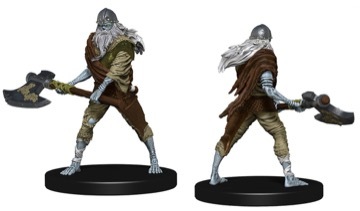 One powerful undead creature often serving in this role is the Murderous Undead, a Medium uncommon figure. Not all skeletons are mindless, however, and despite their lack of vocal cords, lips, and lungs, they often speak for their lich lord, proclaiming the tyrant's edicts in conquered lands or acting as envoys to potential allies. 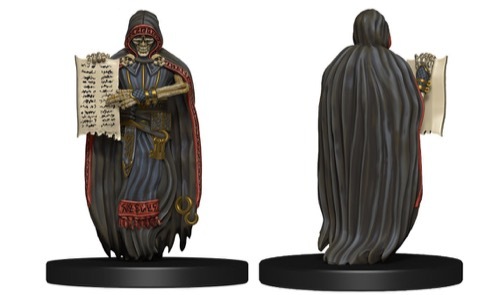 The Skeletal Speaker, a Medium uncommon figure, makes a great skeletal diplomat or even a spellcasting skeletal champion. While the remains of mortals make excellent potential servitors, sometimes the agents of undeath need more powerful help from beyond the borders of this reality, in which case they might summon or make a deal with an outsider like a thanadaemon. These deacons of the Horseman of Death, Charon, ply the waters of the River Styx, ferrying souls through Abaddon. Thanadaemon is a Medium rare figure. Last, we have the ultimate undead, or rather the premier undead, for she was the very first soul to escape the River of Souls and extend her existence outside the normal cycle of death and rebirth. Yes, Urgathoa, Goddess of Undeath makes her Pathfinder Battles debut in this set as a Medium rare figure. Wielding her imposing scythe and exemplifying both the decay of undeath and the debauchery of gluttony, it is to her glory the Whispering Tyrant and all his undead minions do their sinister work. All hail Urgathoa! All hail the Pallid Princess! 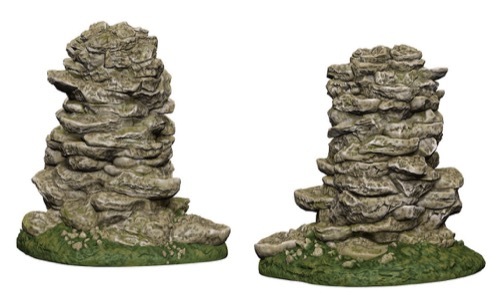 Game Masters looking to add some scenery to their undead encounters should be excited by another piece of dungeon dressing from Ruins of Lastwall, the Stone Cairn, a remnant of a culture now as dead as the corpse or corpses buried beneath it. 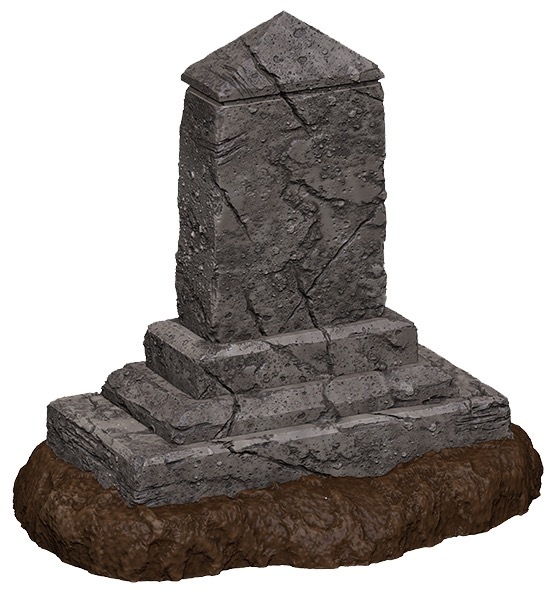 When the gravestones or burial markers from the Cemetery of the Fallen don't quite fit your needs, consider using a Stone Cairn instead. That's it for this week's preview. Check back next time for a look at the champions of balance stuck in the middle of the war for the souls of the Inner Sea. I'm pompously psyched to show them off! Welcome to 4719, Pathfinders! We in the Paizo word mines are hard at work putting together a huge slate of new products for the year but that doesn't mean that I can't take a few minutes to show off some of the new figures coming out this April in the next set of Pathfinder Battles prepainted plastic miniatures from our partners at WizKids. The Ruins of Lastwall set features lots of figures useful in playing out the conflict between the knights of Lastwall and the forces of the lich lord known as the Whispering Tyrant. For nearly 900 years the stalwart Knights of Ozem have stood watch over the lich's prison from their fortified capital of Vigil, the last remnant of the forces of good whose victory in the Shining Crusade saved the world from the tyrant's grasp. 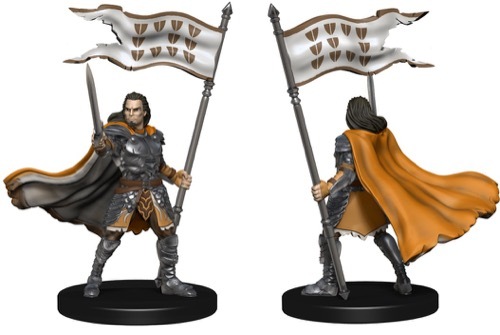 And now players and GMs will have all the figures they need to amass their own army of paladins, knights, and regimented soldiers of light. 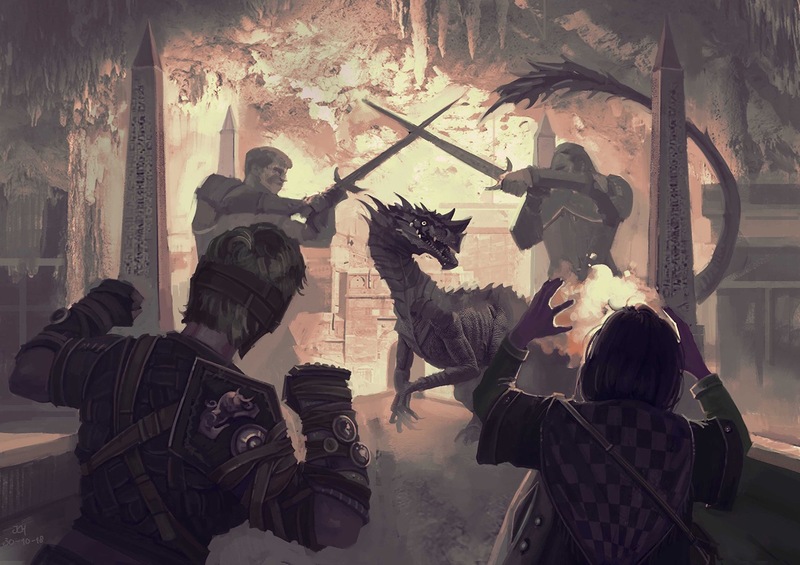 The first two figures were drawn from the same inspiring piece of art from the Pathfinder library, this stunning half-page illustration of Lastwall's forces preparing for battle by Craig J. Spearing. In the foreground, we have the Lastwall Soldier, a rank-and-file soldier in the crusader army. Wearing a simple cloak of the purest white, emblazoned with the holy symbol of Iomedae, this Medium common figure is one you'll be glad to have multiples of. Towering over the soldiers is the Lastwall General atop his rearing charger. 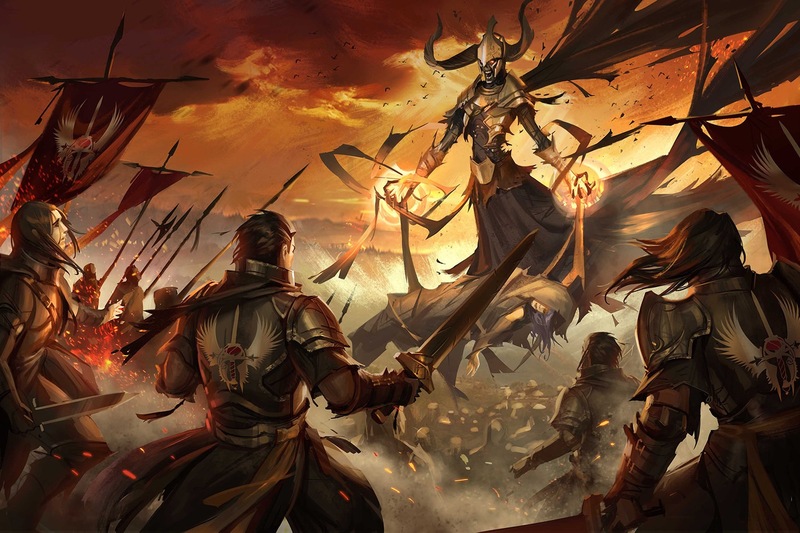 His polished gold plate and raised standard serve as inspiration to his subordinates and paint an intimidating picture for the forces of undeath rallied against them. 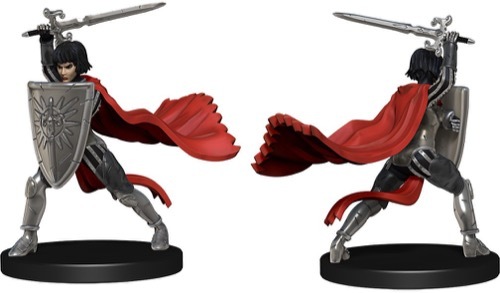 A Large uncommon figure, the Lastwall General can also serve as a PC cavalier or paladin when mounted. I showed off the Lastwall Knight (Medium uncommon) back in September when the set was announced, but she's not the only elite figure in the set. Check out the Lastwall Paladin with his banner and longsword issuing a challenge to the forces of evil. 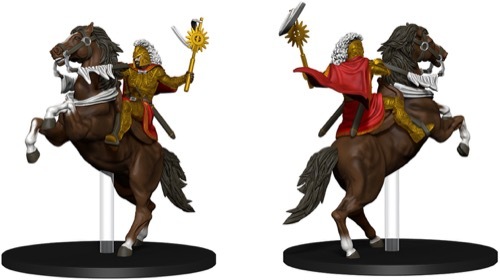 He's a Medium uncommon figure, so collectors should end up with a few of him to add variety to their Lastwall army or to serve as PCs, cohorts, or prominent NPCs from the ranks of the Knights of Ozem. 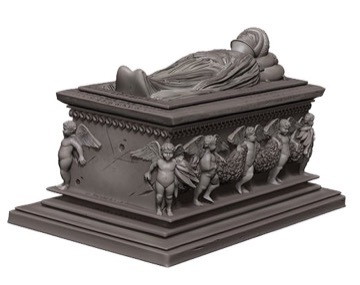 When these noble warriors fall in battle, they deserve a fitting final rest. 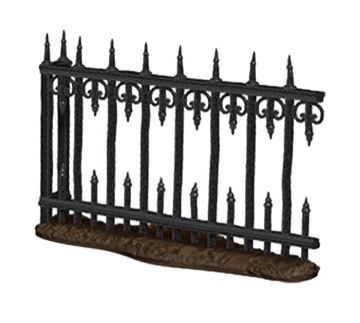 In the catacombs of Vigil lie the remains of countless paladins and soldiers who dedicated themselves to keeping the Whispering Tyrant contained in his prison. The Crypt Wall set dressing depicts one of these catacomb niches, complete with four removable shelves and three decaying corpses so you can customize your use of it. The Knights of Lastwall don't stand alone against the forces of evil, though. No, the Great Beytond is full of powerful beings who want to see the Whispering Tyrant's forces turned back from their ambitions of conquest. 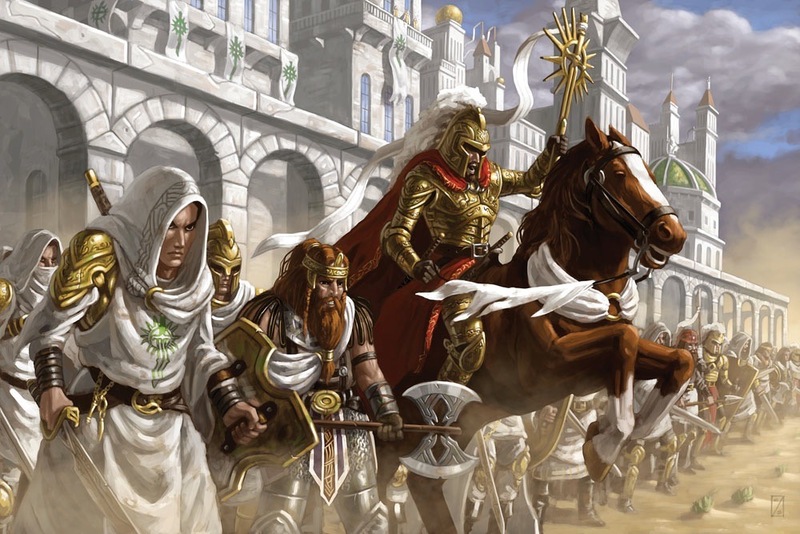 Among them are the noble gold dragons who call Golarion's plains home. 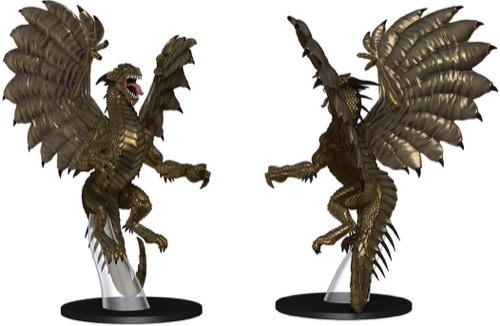 The Large Gold Dragon here (Large uncommon) is just one of the mortal beings who may come to the knights' aid (or serve as wise advisors or “quest-givers” for PCs). 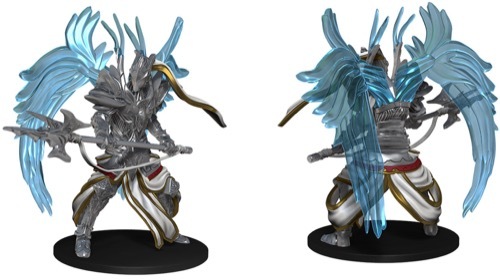 From beyond the borders of our realities, the celestial hosts of the upper planes may be summoned or called by powerful clerics or arcane spellcasters, the most formidable of which is the Empyrean Angel. First appearing in Pathfinder RPG Bestiary 5 and coming in at a whopping CR 20, this Large rare figure is sure to awe all who see it when it appears on the battlefield. No celestial force is more interested in the outcome of the long war with the Whispering Tyrant than the goddess, Iomedae, who was herself a knight of Ozem before ascending to godhood. 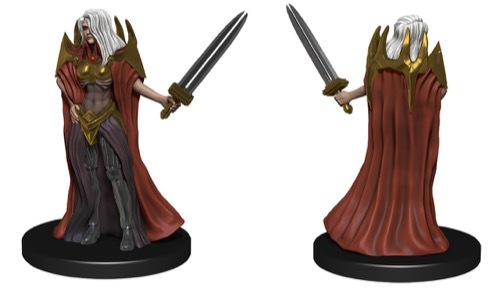 The first of five gods making their Pathfinder Battles debut in this set, Iomedae, Goddess of Valor is a Medium rare figure, perfect for GMs running the Wrath of the Righteous Adventure Path or for players of paladins or clerics of the goddess who might attempt to emulate her appearance beyond simply wearing her holy symbol. That's it for this preview, but it's far from the last you'll see of Lastwall. Check back next time for a look at the agents of undeath working to undermine the knights' efforts and spread their cold, evil will across the Inner Sea region.